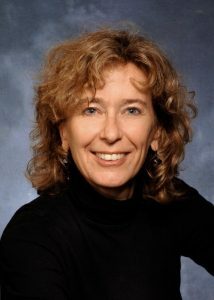 Barbara Sherry has been named head of the Department of Molecular Biomedical Sciences at the NC State College of Veterinary Medicine. Sherry, a virology professor, has served as interim head since November, after her predecessor, Christine McGahan, was appointed dean of the NC State College of Sciences. Sherry has been with the CVM for nearly 20 years, joining the faculty in 1989 as an assistant professor of virology. She was named a professor in 2001. She has served as director of NC State’s genomic sciences graduate program, edited several academic journals and is a past president of the American Society for Virology. Sherry is a two-time winner of the CVM’s Huffman Leadership Award and received the Pfizer Award for Veterinary Research Excellence. The Department of Molecular Biomedical Sciences offers Ph.D. programs through the CVM and interdepartmental NC State graduate programs, and includes anesthesiology, clinical nutrition, pharmacology and radiology specialties. Through the department, students may further concentrate on subjects such as immunology and infectious disease. The department boasts a large number of research programs making vital impacts on animal and human medicine, addressing critical biomedical, agricultural and biological issues. Sherry’s own research, funded federally for decades, focuses on viral infections and the protective response they induce in cells, particularly those in the heart. Her research group has defined new mechanisms the heart uses to protect itself from viral infections and new ways viruses fight back. Sherry’s fascination with all living things was sparked by an outstanding high school biology teacher in New York City. She earned a bachelor’s degree in biology from Brown University, a Ph.D. in molecular biology from the University of Wisconsin-Madison and completed a postdoctoral fellowship in viral pathogenesis at Harvard Medical School. Sherry has two adult children, a son and daughter, and enjoys cooking, running with her dog and traveling with her husband. “I am confident we have the right leader for the whole department and that Barbara will do a great job as we move forward,” said CVM Dean Paul Lunn.